You'll be £15.00 closer to your next £10.00 credit when you purchase The 51st (Highland) Division in the Great War. What's this? In this new evaluation timed to mark the centenary of the Great War (1914–18), Colin Campbell allows the experience of the elite 51st Division to speak for itself. He has researched battalion and brigade official war diaries and regimental and battalion histories and blends them with first-hand accounts and letters, many of which have never been published before. It is said that German soldiers feared the 51st (Highland) Division more that any other British or Empire division. 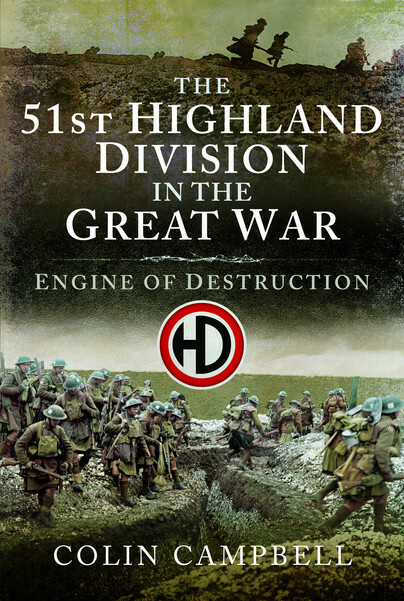 Both detailed and touching, The 51st (Highland) Division in the Great War is an amazing book in tribute to the Scottish soldier. Notes, maps, and illustrations are plentiful, making this a worthwhile read for anyone with an interest in the 51st Division during the war. This is a really excellent new history of a key Western Front Division: well researched & written, good maps & a lot of unique content. An important new book about the British Army in the Great War. This book is able to combine the micro story with the broader point of view. In fact often in the text are frequent testimonies (some highly enjoyable and representative of the way to deal with a terrible war) of soldiers and officers of the division. The story of the 51st Division is well constructed and supported by good sources. Inevitably there is much detail about the attack at Beaumont Hamel in November 1916 but the author has also given due weight to the other actions from its re-numbering in May 1915 to its disbanding in March 1919. An excellent research tool but also an easily read narrative.